Looking a booking cruise? 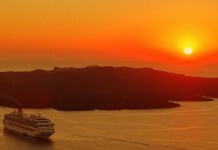 Sometimes the on-board facilites can help you decide which cruise line to book with. Cruise ship swimming pools are one of the most important features as no doubt you will be spening a lot of time lounging by the pool area. Nothing beats a cruise ship for providing stunning views of the sea. But sometimes, the most inviting waters you’ll see on a cruise aren’t on the ocean — they’re on board the ship. Cruise-line swimming pools are getting more luxurious and exciting by the day. Whether you see swimming pools as a place to cool off, sun yourself, or enjoy a fruity cocktail, these are some of the most insane swimming pools at sea. Several of the Royal Caribbean cruise ships have been installed with the thrilling FlowRider surf simulator machine. This exhilarating activity, which is provided free of charge to onboard guests, allows passengers to surf artificial waves produced by water jets flowing over a curved pool floor. With its streams of water rushing towards you at up to 40 mph, the simulator is the closest most cruisers will get to big waves during their seafaring vacation. Usually known for its river cruises, Viking is launching a new ocean-going cruise line this spring that will sail the Mediterranean and Baltic Seas. The line’s new flagship, the Viking Star, is set to make its maiden voyage in May 2015, and has been kitted out with one groundbreaking new feature never seen before on a cruise liner: an infinity pool. The jaw-dropping pool hangs dramatically over the ship’s stern, giving passengers an uninterrupted, if slightly scary, view of the scenery behind them. Allure boasts an incredible onboard pool, officially named the AquaTheater. This insane feat of innovation and engineering features a 600-seat amphitheater surrounding an 18 foot-deep pool, the deepest onboard pool there is. Used during the day for regular swimming activities and scuba lessons, the space transforms at night into the entertainment epicenter of the ship. Aquatic performances by high divers, aerial acrobats, synchronized swimmers, and 65-foot high water fountains provide guests with an exciting spectacle, all with dramatic ocean views as a backdrop.